We serve commercial and residential customers in Austin, and surrounding areas. Learn more about how our concrete installation contractors can help you transform your home or business. Contact us to learn more about our Concrete Patio Austin Services & request an estimate. Ready to make the most of your backyard and expand your living space outdoors? Our concrete patio contractors can design and install the perfect concrete patio in Austin, TX to breathe new life into your backyard. From rectangular concrete slabs to curved concrete that adds an organic feel to the space, we can do it all with quality concrete patio installation. Our residential concrete contractors also offer decorative concrete patio solutions if you want something beyond standard gray concrete. A stained concrete patio in Austin can add rich color to your outdoor space and complement your landscape design. With new concrete patio installation, we can add integral color. Integral pigments add color that extends through the entire slab and won’t fade over time due to UV exposure and weather. Acid-based and water-based stains can also be used to add subtle and earth-toned color or vibrant hues to your patio. Another solution that can be combined with a stain is a stamped concrete patio. Stamped concrete is a technique that involves stamping the concrete before it sets to resemble more expensive materials like wood planks, natural stone, or brick. You don’t need to just live with an undersized patio that’s barely large enough for a patio set let alone your big plans for your backyard. 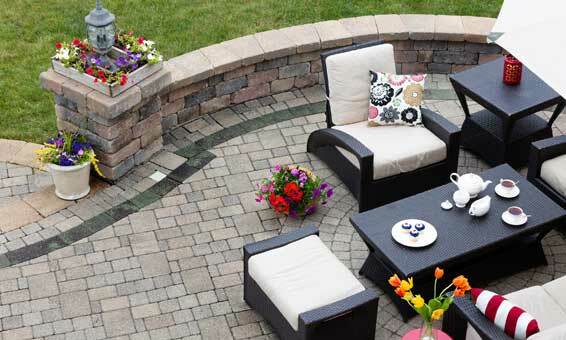 Ready to expand your outdoor space and get more use out of your patio? We offer many ways to extend a concrete patio in Austin, TX. If you’re ready for a larger patio, there are many options. 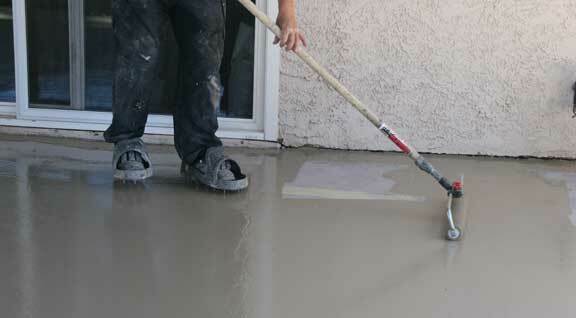 The most straightforward solution is having a new slab poured around your existing concrete slab. Concrete resurfacing or staining can be used to perfectly blend the new and old concrete together. 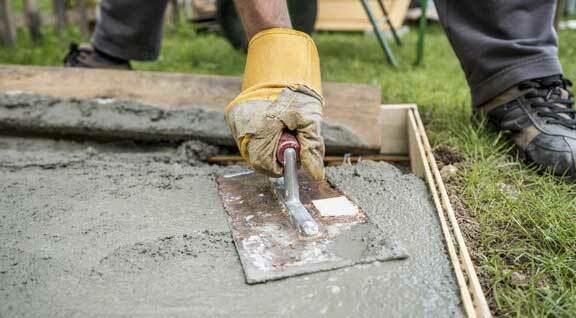 In some cases, new concrete can be poured over an existing slab, as long as it’s in good condition. 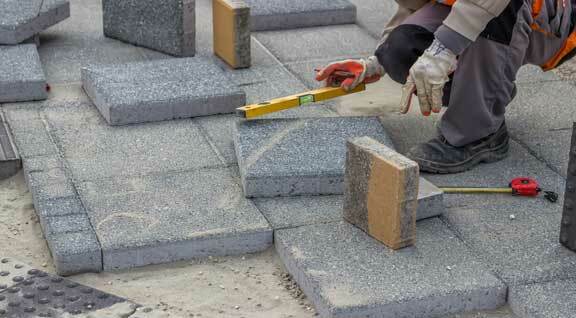 One of the most popular solutions is to extend the concrete patio with pavers. 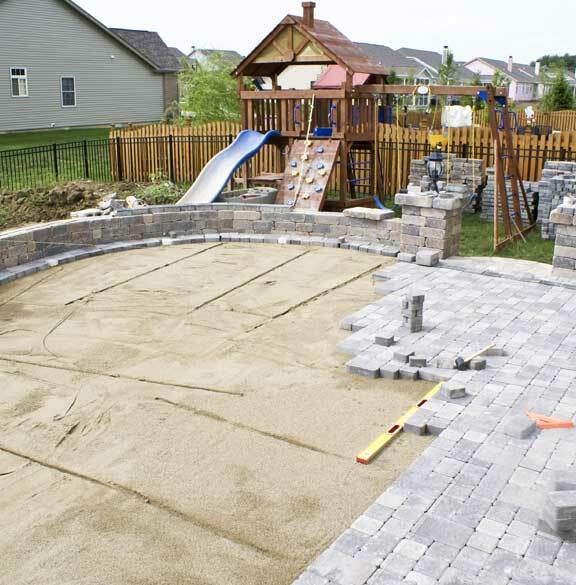 Once complete, you will have a larger paver patio with a section installed over the existing slab. We can also design a brick and concrete patio that blends the two materials in a beautiful and cohesive fashion. Your once-pristine concrete patio is now showing signs of age. If you have a cracked concrete patio or you have more serious issues like lifting or sinking of the concrete pad, our concrete repair contractors in Austin, TX can help. We offer a variety of services to resurface a concrete patio and make it look like new again. Concrete patio crack repair typically involves using a polyurethane filler product or a patching compound followed by resurfacing the entire concrete slab with a stain or paint. This will disguise the repair and restore a flawless appearance. If your concrete seems to be sinking, there are two common options to lift it back to its original position. Mud jacking or slab jacking works by pumping a slurry under the slab to push it back up from below. This will require drilling holes through the sunken slab at strategic locations. Polyurethane foam infection lifts the slab with a closed cell polymer foam. The foam is injected through smaller holes and it won’t add a significant amount of weight to the load of the slab. Your concrete driveway can deteriorate and become damaged for many reasons. Freeze-thaw cycles can cause the concrete to expand and crack as the trapped moisture freezes. Tree roots may grow under the driveway and force a pad out of place. Soil washout and poor soil compaction can cause sections of the driveway to sink or become uneven. No matter what problems you are experiencing, we have a number of concrete driveway repair options that can help. Slab settlement can cause your concrete driveway to crack, sink, or become uneven when the soil is no longer supporting the weight of the concrete. Our concrete driveway repair contractors may recommend mud jacking to pump slurry under the slab, polyurethane foam injection, or replacing damaged sections. Concrete can lift due to large tree roots, frozen water under the surface or water freezing in the concrete. Depending on the severity of the problem, we may grind the concrete to lower the lifted area or replace the lifted section. Do you have cracks in your driveway that started small but are now large, deep, and bothersome? Are you concerned about possibly damaging your car or tripping over the damage? Concrete driveway crack repair should be done as soon as possible to prevent the cracks from getting worse. Spalling refers to a surface that is separating in layers, flaking, or crumbling. Pitting can look similar but it resembles tiny, deep, and jagged holes in the surface. Both problems can cover a large surface area of the concrete. Concrete repair in Austin, TX may include an overlay or patching the damage. 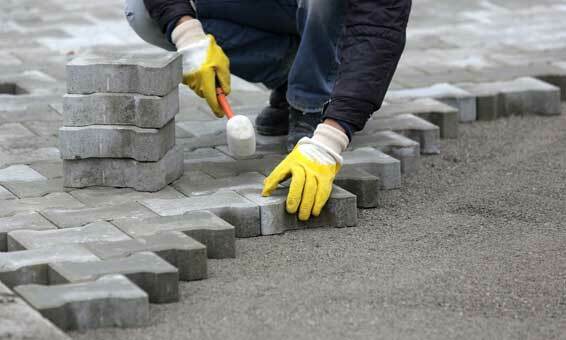 Ready to replace an aging driveway or install a brand-new driveway for your home? Your local concrete driveway contractors offer high-quality concrete driveway installation with several design options. As one of the leading concrete driveway companies in Austin, TX, we take pride in delivering superior and long-lasting results with fair, upfront pricing. 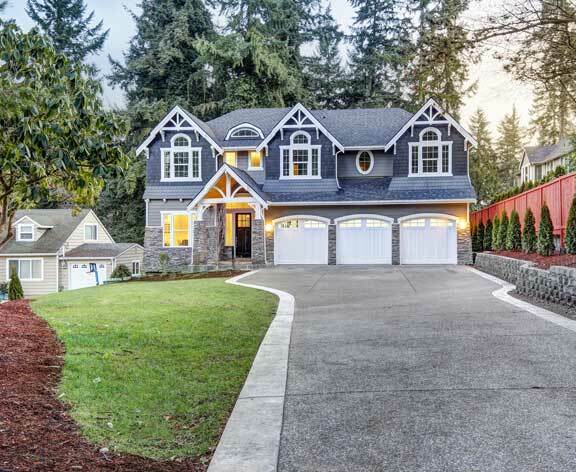 We understand that your driveway is one of the biggest components of your home’s curb appeal. Your driveway is the entrance to your home and one of the first things people will see. Our concrete driveway contractors can help you narrow down your options in terms of finishes, stains, and other effects to achieve the perfect look to complement your home. While most Austin homeowners still choose plain gray concrete driveway replacement, keep in mind you do have decorative options. A colored concrete driveway can be achieved with integral pigments that color the entire slab and won’t fade or wear away. 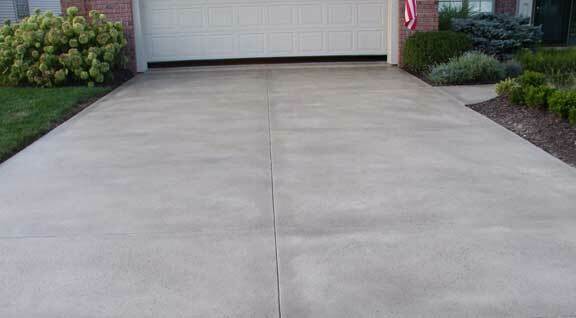 Acid- or water-based stains can also be used to create a custom stained concrete driveway. We can also install a stained and stamped concrete driveway to deliver the look of a paver driveway without the cost or hassle.